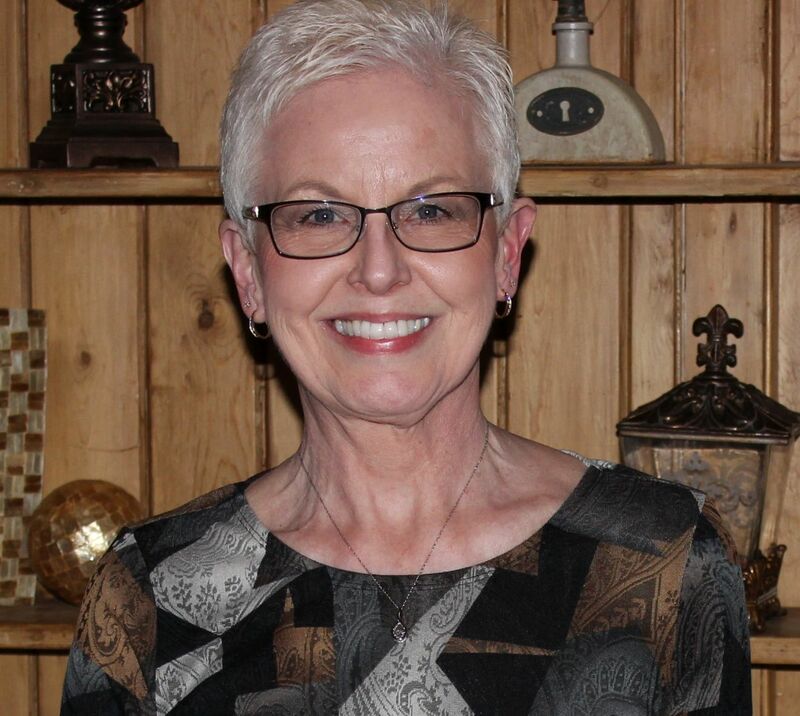 Here we are, one week into the New Year, but before I move on I want to summarize the year 2015 for Karen’s Chatt. Karen’s Chatt began its 5th year in 2015 with the news that a story about my great-grandfather, immigrant Jacob Mueller, was published in the Saarbrücker Zeitung, a German newspaper. 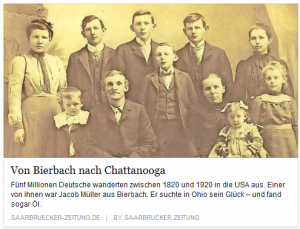 Thanks to Kerstin Rech who wrote “Von Bierbach nach Chattanooga,” the story of Jacob after he left Bierbach and settled in Mercer County, Ohio, in 1871. During the year I had the opportunity to meet a couple distant relatives. In July I met up with Suzan Whiteman Pinciotti. 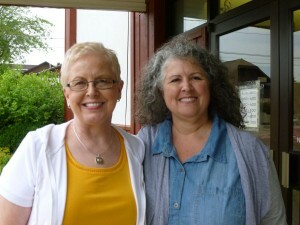 Suzan traveled from Texas to attend the Whiteman reunion in another northern state and I lunched with her and her sister in Berne, Indiana. Karen & Suzan (Whiteman) Pinciotti, July 2015. 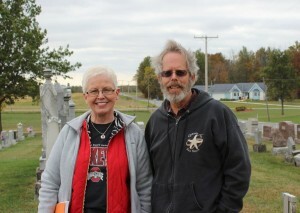 Karen & Paul Valentich-Scott, Oct 2015. 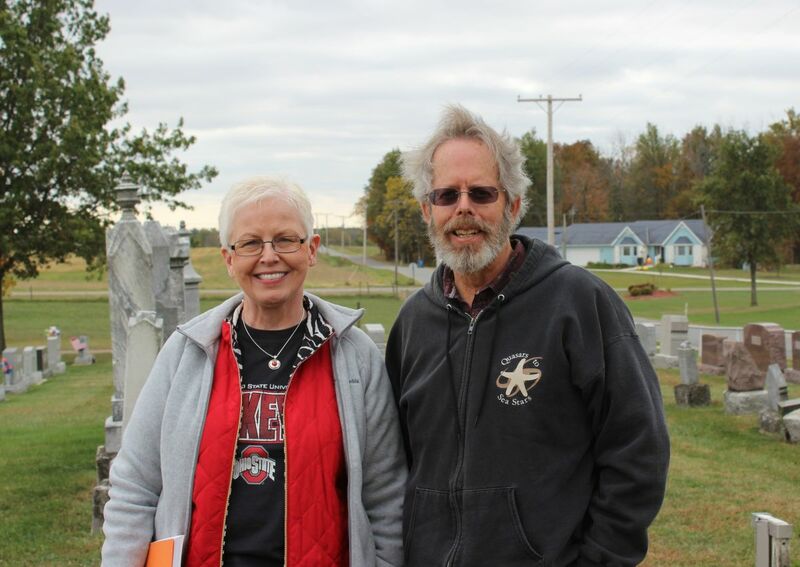 I started a series of biographies of Zion’s ministers and showed photos of Zion Chatt’s 2015 cemetery repair work. Zion Chatt celebrated its 160th anniversary in 2015 but the church building itself is 100 years old this year (2016). 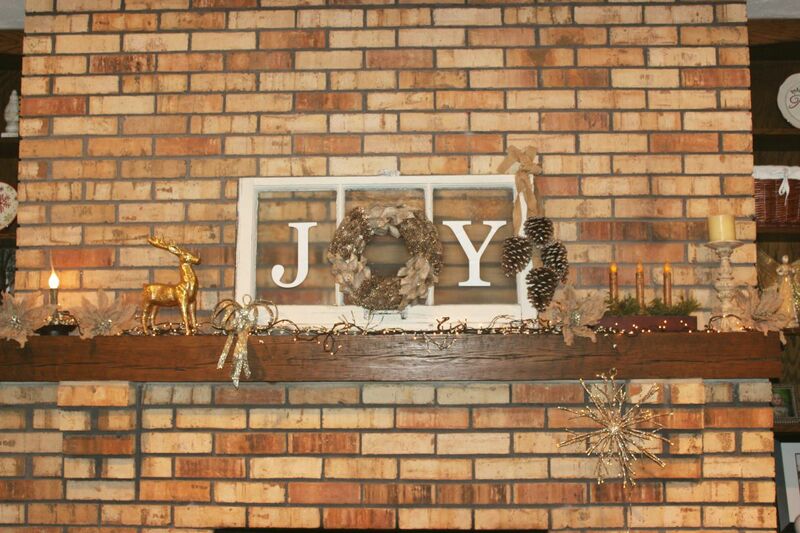 Zion’s small double-hung basement windows, likely the original windows, were replaced in 2015 and Joe and I placed one of those old windows on our fireplace mantle. This is how one of Zion’s old basement windows looked on our fireplace this past Christmas. I spent a lot of time on the 4-part Carrie (Edgington) Eichhorn Friedell mystery series. Although I learned the identity of the unreadable broken stone next to Carrie’s resting place there are still unanswered questions about Carrie and her family. In the future I hope to learn more answers. In December I posted two unhappy photos of myself as a child and our granddaughter Chloe with Santa. Since that time I found another family Santa photo, a photo of our son Jeff with Santa, taken about 1983. Being scared of Santa must be a female thing or else it skips a generation, because Jeff was certainly not scared of Santa. I don’t know what Santa was telling Jeff, but he seems to be listening very carefully to Santa’s every word. 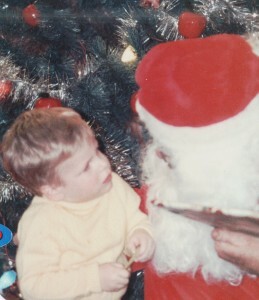 Jeff talking to Santa, c1983. There were 30,532 page views in 2015. Wow! Below are the most popular page views in 2015, although some of the posts were posted before 2015. Hmm…I wonder if they ever found what they were really searching for? ?